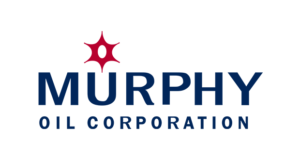 Tullow Oil announced that the Tweneboa-1 exploration well, in the Deepwater Tano licence offshore Ghana, has discovered a significant highly pressured, light hydrocarbon accumulation. 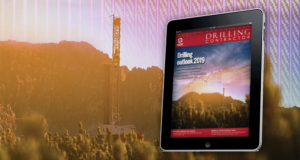 The well, drilled to 3,593 m, encountered 21 m of net pay and is being deepened to assess the discovery and the up-dip limit of a potential deeper fan system. The well was optimally located to penetrate multiple targets, including the edge of an undrilled major Turonian fan system. Further drilling will be required to test core areas within this potentially giant stratigraphic trap where thicker Turonian reservoir sections are mapped. The upside area of approximately 200 sq km includes two de-risked prospective parts, Owo and Ntomme. The Tweneboa-1 well was drilled by the Eirik Raude deepwater rig in a water depth of 1,148 m some 25 km west of the Jubilee Field. Tullow operates the Deepwater Tano licence and is partnered by Kosmos Energy, Anadarko Petroleum, Sabre Oil & Gas and the Ghana National Petroleum Corp.
Transocean’s Development Driller III, an ultra-deepwater drilling semisubmersible rig, is nearing completion at Keppel FELS’ shipyard in Singapore. Following completion of sea trials, the vessel will be mobilized to its first drilling location for BP in the US Gulf of Mexico. Built to Keppel FEL’s proprietary DSS 51 semisubmersible design, the rig has a total payload of 13,500 tons. 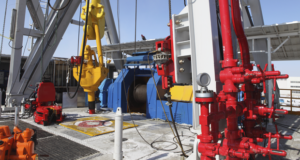 This reduces the need and costs of transporting supplies to and from the rig. 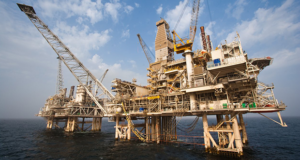 The rig features Transocean’s proprietary dual -activity drilling technology. It is designed to construct wells as deep as 37,500 ft (11,430 m) and operate in water depths of up to 7,500 ft (2,286 m), upgradeable to 40,000 ft (12,192 m) and 10,000 ft (3,048 m), respectively. 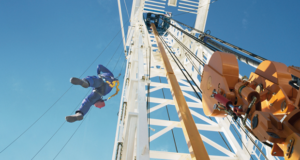 Rigs in the series have distinct “double-skin” columns, which protect the critical equipment within from damage by external impact. The layout of the engine rooms has been designed to minimize the potential of both being shut-down at the same time in an emergency. Reduced emissions and discharges also offer an environmentally friendly solution. Woodside Petroleum reported that the Martell-1 exploration well in permit WA-404-P in Western Australia’s Carnarvon Basin has reached a total depth of 3,330 m. Wireline logs indicate a gross gas column of about 110 m in good-quality reservoir sandstones. Pressure testing of sandstones over an interval of 2,778 m to 3,201 m has confirmed a gross gas column of about 110 m and the presence of a gas-water contact. 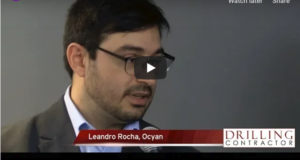 Water depth at the location is 1,290 m.
Sonangol, Sociedade Nacional de Combustíveis de Angola and BP Exploration announced the Leda oil discovery in ultra-deepwater Block 31, offshore Angola. This is the 17th discovery made by BP in Block 31 and is located in the central northern portion of the block, about 12 km southwest of the Marte field. Leda was drilled in a water depth of 2,070 m and reached a total depth of 5,907 m below sea level. This is the fifth discovery in Block 31 where the exploration well has been drilled through salt to access the oil-bearing sandstone reservoir beneath. Keppel FELS recently delivered the Deep Driller 8 jackup to Aban Singapore – the fifth unit to be delivered in a series of five KFELS Super B Class rigs for Aban since 2006. 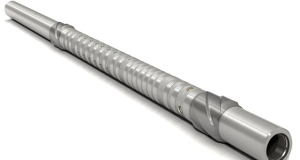 The rig can drill wells up to 35,000 ft at 350-ft water depth. To be operated by Premium Drilling, it will work offshore India for a two firm well and two optional well program for an unnamed company. The firm period is likely to last 150 days with an estimated revenue of USD 30 million. Separately, Keppel AmFELS delivered the Offshore Intrepid to a subsidiary of Scorpion Offshore. This marks the completion of the series of five LeTourneau Super 116 jackups commissioned by Scorpion in 2005. The rig is outfitted to drill in up to 350 ft of water and wells to 30,000 ft. THE CURRENT MARKET conditions shouldn’t favor high-risk, deepwater exploration endeavors, but one company has gone against the odds and succeeded with not one, but two, back-to-back discoveries in the Gulf of Mexico. 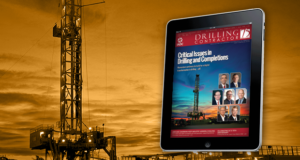 Anadarko Petroleum Corp’s substantial Heidelberg and Shenandoah oil discoveries in February, in the midst of an industry and general economic downturn, have been a noteworthy, if not remarkable, reflection of what the company believes is an extensive acreage position and a well-planned risk management protocol. 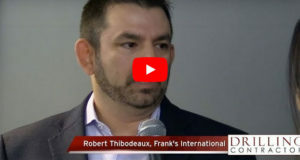 “Anadarko has a very experienced and talented team that utilizes a disciplined risking methodology and petroleum systems-based approach to exploration on a global basis,” said Stuart Strife, vice president, exploration for Gulf of Mexico. 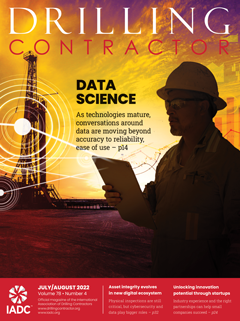 “We utilize the latest in technological advancements to pursue resources that have the highest potential to create substantial value for our shareholders,” he added. 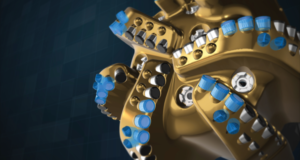 The Heidelberg discovery well, announced 2 February, is located in roughly 5,000 ft of water and was drilled to a depth of more than 28,000 ft. Anadarko operates Heidelberg with a 44.25% interest in the discovery. The other partners are Mariner Energy, ENI, StatoilHydro, ExxonMobil and Cobalt International Energy. 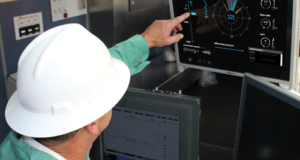 Just two days later, Anadarko announced the second find, the Shenandoah discovery well, located in 5,750 ft of water and drilled to a total depth of about 30,000 ft. As operator, Anadarko holds a 30% interest in the well. The co-owners are ConocoPhillips, Cobalt and Marathon Oil. He expects additional activity to occur first at the Heidelberg discovery. “We will meet with our partners, or co-owners, to plan the next steps in developing each of these discoveries,” Mr Strife said. 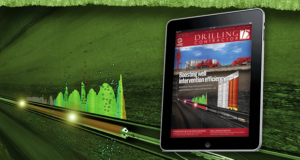 “Our intention is to conduct appraisal drilling operations at Heidelberg during the second half of this year. 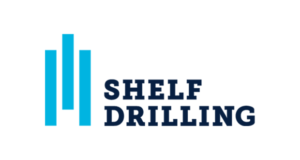 At Shenandoah, our joint ownership group continues to evaluate the well results and potential next steps toward future appraisal activity.” The company also expects to begin drilling the Vito Middle-Miocene and the Samurai Middle- and Lower-Miocene exploration wells, also in the Gulf of Mexico, during the first quarter of this year. As for future near-term deepwater exploration, Mr Strife says Anadarko has a broad range of global prospects. 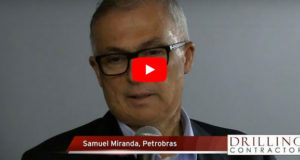 “Our portfolio contains an abundance of high-quality exploration projects in some of the most prolific hydrocarbon-bearing basins in the world,” he noted. 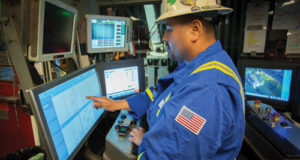 “This inventory is focused on areas where we can effectively apply our deepwater exploration skill sets and project-execution expertise to not only discover new resources, but to also bring new discoveries to a commercial solution.